In the present, the Binoculars are not so simple like previous days. In general, a binocular is a perfect device to distinguish distant objects more vividly and precisely to make greater perception. The Nikon Monarch 5 8x42 is improvised and improved with the uncontested heritage of fusion optical performance and advanced low light brilliance with easy agility. We would like to acquaint with you with the first super quality; that its full one ounce lighter than its predecessor and ready to company you on next outing with easy to hold body structure. The Nikon 7576 is special for its high-eyepoint design for clear field of view even wearing eyeglass and sufficient space between eye and eyecups. The fully Multi-coated Eco-Glass lenses ensure greater light transmission through the entire visible light spectrum lenses and prisms for more natural clear view without minimal loss of light due to reflection. The Nikon Binocular has a customizable push and pull eyecupsFdura to fit well in long time observation. The rubber armored body is compatible to every environment and humidity; even in the wettest condition. The classic central focus knob brings your object so close, and it seems you can touch it. You are getting all this with waterproof and fog proof performance. 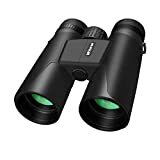 Are you planning for a trip or preparing to have some fun with friends in a distance place, then pick up a binocular to give your trip an added dimension. If you are a regular traveller or an occasional, you must have an experience like; you are standing in a beautiful place all around and anguishing to see the more beautiful distant scenery. Here lies the importance of a binocular; a binocular can help you here the most; only a quality binocular can satisfy your natural beauty-loving heart. Binocular brings the object close to you; what you can’t even imagine touching. 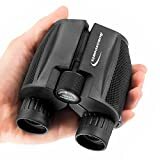 Again, you just buy a quality binocular for your little son; believe me this will change his mind; he/she will go for the horizons and discover the nature; farther discover their selves and of course, broaden their mind. The Nikon MONARCH 5 has all the promised optical performances and many other beneficial facts and factors. Let’s check out those advantages in detail. The binocular is at least one ounce lighter than the previous versions and easier to carry to your next hang out. The legendary ED (Extra-low Dispersion) glass lenses correct chromatic aberrations through the long light range and prevent color fringing. The Nikon 8x42 is advanced with long eye-relief design that provides a clear field of view even wearing eyeglasses with sufficient space between the eyebrow and the binocular eyecups. It has a multi-layer coating and higher light transmitting lenses and prisms that provide visible light spectrum with a clear natural view without losing light due to reflection. The Dielectric high reflective lenses and prisms have additional ability to provide same brightness and naked eye perceiving capability for offering high-resolution images and exceptionally accurate color replication. The traditional turn slide rubber eyecups allow the travellers to avail a custom fit around their eye and a tour long comfortable and eye relieving intimate observation of beautiful objects. The Nikon Monarch 5 8x42 has ever smooth, but simple central focus knob that you know brings your object closer and clearer than your expectation. For safety and non-slip performance, the binocular is guarded with durable double rubber armor to withstand even in the toughest and wettest conditions. 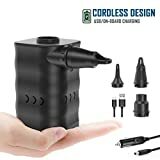 With other qualities, the binocular is Nitrogen purged, and O-ring sealed to make it completely waterproof and fog proof. Question : Should I be concern about the negative answers on the lens caps? I think there is some misconception around the lens caps. The caps are designed and manufactured with close guidance of engineers, and obviously, it took a wholesome investment; so, it doesn’t include to disturb the users; but to protect the sensitive lenses from dust and damage. Its automated by lift and lose system; that means when it hangs around your neck, and you pick it up for some focus the caps open by the weight or toss of the strap and when you leave it to hang again the caps close the lenses by the hanging pressure of the strap. After all, if you don’t like the part, you can remove. It’s my pleasure to answer the question in detail. Thanks for the question. Question : What comes in the box? It’s a big curie? The box offers you only the caps and a strap; nothing more precious. Thanks for such a nice question. 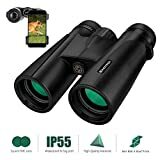 What do you want in a smart and high performance binocular; it has every common and advanced feature; I can bet. It’s ever easy to carry, easier to adjust the focal length and the easiest to magnify the distant objects for keen observation. 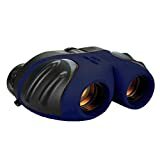 With this piece of binocular on travel or tour; you need nobody else to company you; because it’s the best travel companion among worldwide natural beauties. For more clear vision and perception, you can compare this to B008PEAS78 on Google. Both the binoculars are advanced enough to meet the fundamental demand of the enthusiasts. But the specialty of the Nikon 7576 is it’s much more compact and handy to pick up and put again into your small opening pocket. Moreover, the Nikon looks quite silk and dynamic than the other homogeneous versions. I personally love its delicate body structure and enjoy the deliberate performance for years.